In this article i’ll let you know about how to Mine Zcoin (XZC) cryptocurrency, different methods by which you can mine XZC, whether mining ZCoin is profitable or not, best mining software for zcoin, best mining pool for Zcoin and much more. In this website I’ll write about Mining Guides, Crypto News and other crypto related stuff.If you are in to these things you can subscribe to push notification by clicking the bell icon(bottom right) and you will be notified each time when there is a new update on our website. Zero Coin is a privacy coin which uses Zerocoin Protocol for its operations.This coin is about a year old and currently ranked 107 on Coinmarketcap. We all know privacy coins are gaining momentum hence buying some ZCoin is surely the right thing to do now. You all must have heard about Bitcoin before, but the main problem with bitcoin is slow transactions and privacy. Hopefully Bitcoin transaction speed will increase with segwit2x. Privacy problem can’t be solved as of now. All information is stored in public ledger and anyone can access it, its how bitcoin works. To solve privacy problem of bitcoin we have Zcoin.This coin is much similar to Monero,Zcash,Pivx,etc.Check the video below to know more about Zcoin. This coin uses Lyra2z algo for mining. Lyra2z is very energy efficient. My 1080 Ti’s run at 55 degree celsius with 55% TDP. If you have a mining farm and possess a lot of hashing power then follow this Zcoin Solo Mining Guide . Solo mining is for advance users and people with lots of hashing power otherwise it might take long to see any return. In this article I will let you know how to mine Zcoin on Pool. Keep reading and you’ll know all about it shortly. Pool mining is for those people who don’t have enough hashing power. I also mine Zcoin on pool with 7X1080 Ti rig. Zcoin can be mined with CPU or GPU. People with Nvidia or AMD GPU can use Pool or Solo mining. If you want to mine Zcoin with CPU you can use any cloud computing services like digital ocean,google cloudd,etc. Here is the link to the tutorial for Cloud Mining Zcoin with Google Cloud. I have 7 GTX 1080 Ti and currently using all of them for mining. Earlier I was mining Signatum but after 100000 block Signatum switched to POS. I was searching for new profitable coin to mine with my 1080 Ti’s and that is when i came across Zcoin. I tried a couple of pools available but Miningpoolhub works best for me. This pool has major hashrate and I recommend this pool to everyone. I tried many modded version for ccminer to mine this coin but hashrate shown on the pool is always 30-40% less as shown on the mining software, finally I found the best miner to the coin which shows exact hashrate if not more. 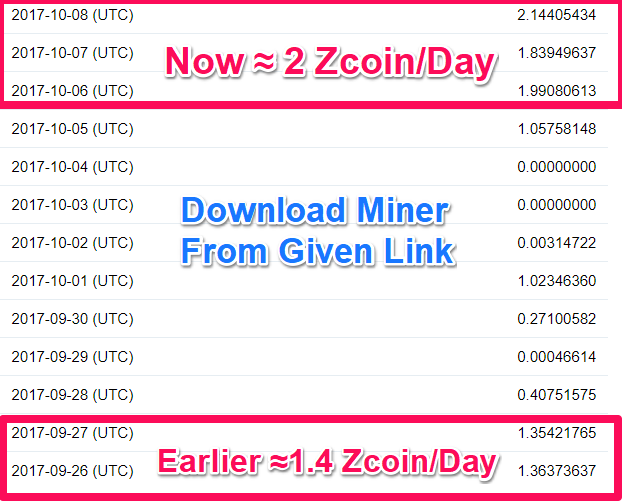 Earlier I was mining 1.4 Zcoin each day but with the new mining software I am getting 2 Zcoin/Day. My Trading Tip : Recently Zcoin was choosen community coin of the month.Don’t sell XZC now, buy more at ~0.00190 BTC . Binance will list XZC very soon so expect price hike. 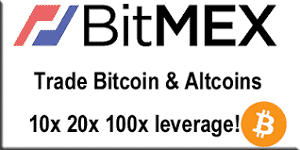 Sell at 0.00300 BTC or more. 2. Visit MiningPoolHub and sign up/login to account. 3. At miningpoolhub click on Hub Workers and create new worker. 4. Keep the page open as worker name and password will be used later. 6. Create a new batch file and place it in the same folder where you mining program is. Add following content in a batch file and edit it accordingly. 7. Double click on the batch file and mining will start instantly. 8. MininingPoolHub supports autoexchange, so its up to you whether you want to keep the mined zcoin or exchange them automatically for bitcoin etc. 9. For each 1080 Ti you will be getting 3300 kh/s. Note : CUDA 9 is required for this miner. Download it from Nvidia website. Perfect overclock settings will be different for every variants of GTX 1080 ti. Below is the minimum stable setting for each variant. I will be writing a blog post for it very soon.Currently the most profitable coin to mine with 1080 Ti is Zcoin. For 24 hours of mining you will be earning ≈$2.7/card. Zcash and LBC will give you ≈$2/Day/Card. If you are seeing your share accepted, the everything is going ok. It will take at least 5 minutes for you to see the correct mining speed on pool. Hope this post helped you and if you still face any problems then don’t hesitate to ask, i’ll be glad to help. The CC Miner what you prefer is available only in x86 version? I have Win 10 64bit, which client should i download? Thanks a lot! zcoin ccminerx 86 version is better than x64 version. x86 version will work fine for 64 bit windows. what about the new 2.2.2 version? If you use regular ccminer, your mining speed will not shown correctly on the pool. Can you give instructions for using your miner? I downloaded and have the .exe file…how do i enter my .bat file and get started? I’m currently using ccminer x64 2.2.2, which works but doesn’t give the best returns. However, it’s the only miner I have been able to get to work. I put my .bat file into the main folder and no problem. I put my .bat file in yours and the window for the miner flashes and then quickly goes away. use miner which is provided it is best. Open bat file and make sure there is “ccminer” at start of batch file. I will be making youtube video for it very soon, probably within 2 days, keep in touch. Any updates on this? I’m still mining with 2.2.2…can’t get your version to work. Don’t mine on ccminer 2.2, you will lose 20-30% hashrate. If this miner is not working make sure CUDA, C++ libraries are installed. Latest nvidia drivers gave me problems. I am on older version 385.28. I started to mine xzc with 48 GTX1080ti, some of them Gigabyte “Gaming OC” some of them “Aorus Xtreme”, but with perfect overclocking they give maximum 3050-3100kh/s, its looks lil bit slower than yours, and my opinion is memory overclock is not necessary it does not give any extra speed. Do you have any idea why are they slower? Me also on Asus Z270A and gen 2. Use miner which I provided it give best results. I use overclock setting which i mentioned in the post. Hey I cant set the cpu priority? its says pu priority failed i have it set like -cpu-priorirtyµ3 tho ? Edit same way as I did. You can also remove cpu priority part. If showing on miner than its very low, you must get atleast 3000kh. I kept intensity below 19.
yah. MIner is stable with -400 memory. make sure there is “-cpu-piority=3 ” in batch file. You can also completly remove it. I have one more question. When will the earnings on the pool get confirmed? I use miningpoolhub. i downloaded ccminer but windows defender immeadietly locked it and delete it cause it contains a malware and trojan? Don’t worry its false postive by windows defender/antivirus. djm34 miner is not yet available for linux based OS. Better to install Windows if you want to earn more by mining XZC. I cant download the Nvidia software as it says only the owner can download it because of virus. any alternate links? post updated with new downloading links. Already updated post with new link. XLR don’t have guide for it right now. But I will post it today within few hours, max 5 PM IST. For the text in the batch file, do I have to change the –cpu to gpu or anything? Is there any way to make sure the mining is running? All I see is this. Does it look fine? It looks stuck to me there. Also, I am only getting around 2.8Kh/s while others post around 3.3kh/s. What do you think is the issue? Run miner for atleast 5 minutes and check on pool, miningpoolhub that you hashrate is showning there. Intially it will be lower. My PC gets unstable after some time even without overclocking. Task manager shows no cpu or disk usage though. I guess its because of the mining. Is there anything I could do to fix it? cuda 9 installed or not? 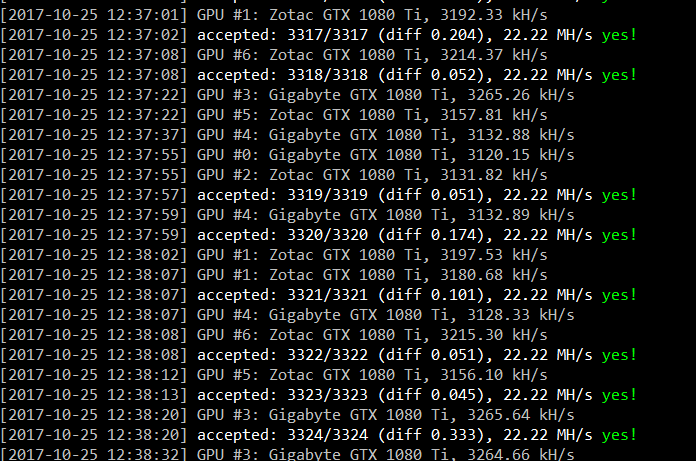 Thanks for your reply, I just started mining and the speed I am getting is 2.8kh/s while others posted around 3.3kh/s. How do I fix it? have you overclocked your gpu using MSI afterburner? 3300 kH/s is for GTX 1080 Ti extreme editions. Hi there i just wondering what’s your GPU brand card? also is MSI GTX1080TI-Gaming-x 11GB DDR5 and Zotac GTX1080TI AMP Edition 11GB DDR5X will give a difference hash rate result? 3 Gigabyte sorus extreme 1080 ti. Out of these two zotac 1080 it is better as provide more hashrate and stay cooller. Yah there is slight difference in hashrate between different brand/versions of 1080 ti. MSI Gaming X 1080 ti also good. Hi it’s me again just wonder which Ram is better GDDR5 or GDDR5X? For some algos GDDR5 is better and for some GDDR5X. 1080 ti and 1070 ti both are good cards for mining. Sorry I don’t any such services. Alt market is green as BTC is stable. Zcoin hard fork is coming so price should increase. Use stop loss always. You can invest in Zcoin I think price will increase more but decision is yours. I get http request failed, get_work failed. Do you know why I get this error? Anuj, do you provide consulting service? I am new to mining but I want to learn fast. Can you provide consulting service and I pay you fee? No paid service, everything for free. Ask anything you want, always ready to help. Hi, i using Zotac GTX1080 ti AMP extreme core. Use miner which is shared, you should get at least 3.2 Mh/s. between, i using windows 10. Don’t know whats the problem then. I also have zotac 1080 ti amp core edition and overclock settings are same as you have set. @disqus_8s7EThyS6P:disqus where do you get your rig parts from? Have you ever tried Alibaba? Not tried alibaba but used aliexpress for risers cables. Yes you hashrate is normal. Next Post: Bitcoin Gold – Everything you need to Know!